Terminal is a site-specific installation by artist Tirtzah Bassel that explores the airport as a contemporary symbol of transience and transition. 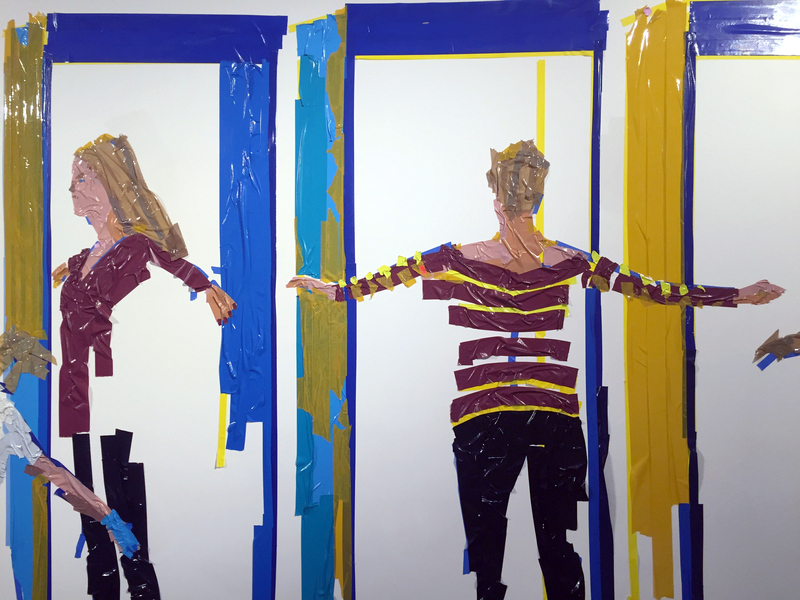 The murals are made only of duct tape adhered directly to the walls, engaging the line between painting and sculpture by creating an immersive three-dimensional drawing in a space that constantly changes with the viewer’s movement in it. The installation is conceived both as a formal dialog with the structure of the building as well as conceptually corresponding with the concurrent exhibition Whisper or Shout: Artists in the Social Sphere. BRIC Hallway Commissions provide space for visual artists to create installations, frequently in dialogue with exhibitions on view in the Gallery.